The Emerald Lily is the utterly awesome action-packed, heart-pounding conclusion to Juliette Cross’ Vampire Blood series. The entire series is magical and pits epic romances and dominion in an epic battle of good versus evil. Every installment in this wonderful series is a sensual paranormal fractured retelling of a popular fairy tale. The resulting new versions are no longer tales for children. As a recap, The Black Lily retold Cinderella. The Red Lily was the author’s parody of Little Red Riding Hood complete with wolves. The White Lily recounted Snow White. Now, The Emerald Lily features a revised Sleeping Beauty. LOL! Who knew that vampires and favorite childhood fairy tales would mix so jaw-droppingly well? I can’t decide which cover in this series that I love more. Each has been breathtaking. I’ve read this series out of order and can attest that each of the books works well as a standalone, if that is your preference. The story evolves chronologically if the series is read in order. You are going to want to read them all so, if you’re just starting the series, I’d elect to read them in order, if possible. This is the tale of Princess Vilhelmina Dragomir and Romanov, Captain of the Bloodguard. Princess Vilhelmina Dragomir was cursed by an evil vampire queen at birth because her father would not acquiesce to promising her to be the bride of the evil queen’s son. Thanks to an old woman with the power to do so, the curse was twisted into a prophecy of hope. Evil has taken over the land and the small band of Black Lily resistance who stand in opposition to the heinous vampire hierocracy has grown into a formidable rebel force. As the Emerald Lily opens, we find the Bloodguard – an independent army aligned with the Black Lily resistance - preparing to storm the castle where the Princess was being held in a cruel bloodless sleep by the queen. The Captain has taken on the task of wakening the Princess from her slumber. The Captain has forsworn any entanglements as his vow to avenge the wrongs done to his family is paramount. Little does he know that his kiss will ignite the prophecy and start the assault on the impregnable fortress he’s erected around his heart. 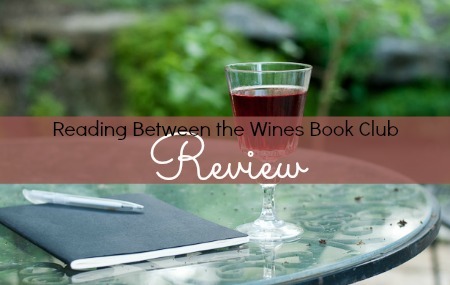 I am hard-pressed to decide which of the books in this series that I love the most as each one has stolen my heart. The Princess and the Captain are fabulous characters joining the wonderful ones that have preceded them. I am in awe of how the Princess develops into a surprising stronger persona and of how the honorable Captain’s heart didn’t stand a chance after that one kiss. In addition, all the previous characters we’ve grown to love and to hate play supporting roles in this marvelously well-plotted tale. “You undo me, woman,” he breathed. “You make me whole,” she whispered. I was so looking forward to this finale and happily wasn’t disappointed - not one teensy bit. Juliette has done an amazing job with each of these books reframing childhood fairytale favorites into grown-up nail-biting, enchanting, steamy, breath-taking romances. The Emerald Lily is a beautiful story on its own – but, in this series, it’s also the perfect wrap-up - tying up all the loose ends with a magnificent bow. My one complaint is that I’m sad that it’s all come to an end. I highly recommend this entire series to anyone who enjoys fun, exciting and passionate paranormal fantasy romances! 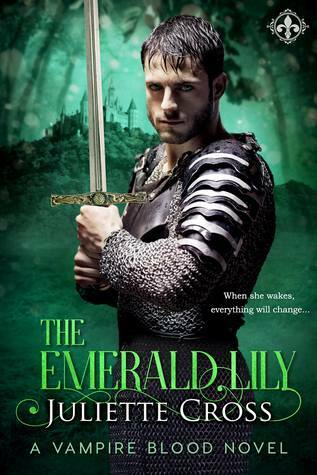 Book #4 The Emerald Lily – Series Finale!